Two days in a row now, I have not worked on the basement remodel project. It has been a nice respite, but I need to get back at it soon. The stair treads are arriving today or tomorrow and they are the last major part of the project. Last evening Chris and I began two Christmasfy the house. We started outside because the weather was warmer than it is going to be during the next week.While I usually put the outside lights up on Veterans Day, I was busy with the remodel and could not get out to get them up. And I think it rained all day anyway. 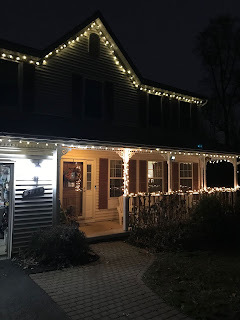 Yesterday, as soon as I arrived home after work, Chris and I began to get the lights up. It is a lot easier when it is warmer outside. We do not turn the lights on until the day after Thanksgiving, but at least they will be ready. 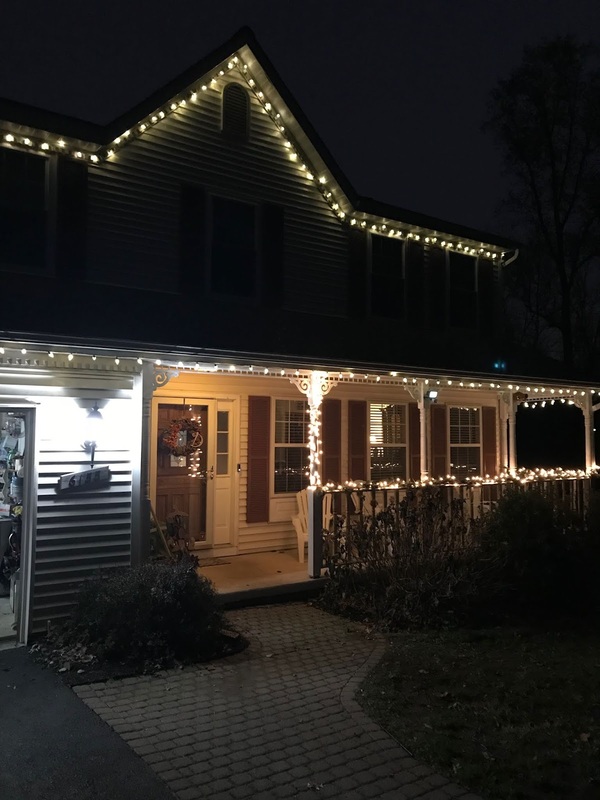 I still need to hang the wreath, but at least most of the lights are in place. 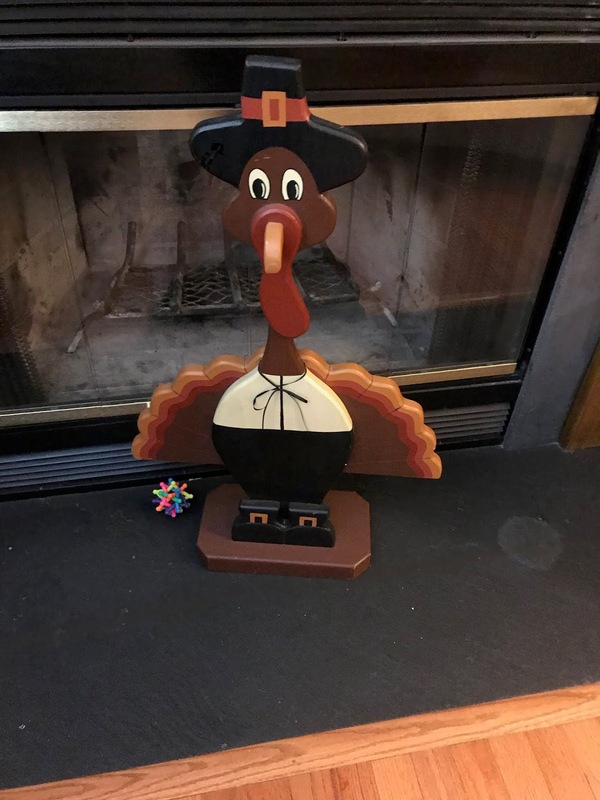 Wait, Happy Thanksgiving! 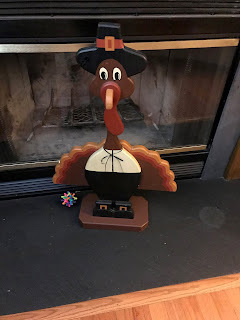 My turkey still occupies its proud place in front of the fireplace.